Extra Mile Powerwashing are the local experts for removing dirt, grime, grease, rust & ugly stains from your home’s driveway, patio, deck or sidewalk. 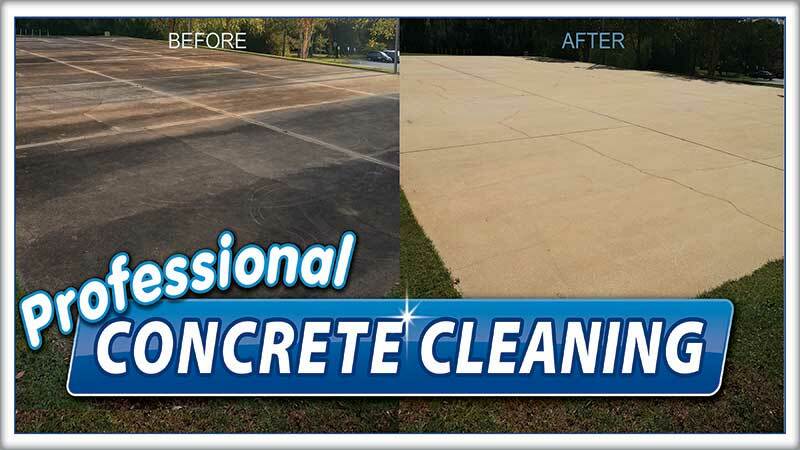 Using professional grade hot water equipment and the correct cleaning solutions, a cleaning from Extra Mile Powerwashing of Bunker Hill, WV will brighten your concrete surfaces, while removing slippery spills and harmful bacteria. Your satisfaction in how clean your porch, driveway, patio and/or sidewalk is our top priority. Our professional technicians use the softwash technique — low water pressure combined with gentle, environmentally-friendly detergents — to clean gutters, siding, roofs, sidewalks, fences and just about every type of surface found at homes and businesses in the region. For a FREE pressure washing estimate call our Bunker Hill office at 304-904-0500 or contact us here. We also offer concrete cleaning, roof cleaning, and house washing services. Click here to read more reviews of our satisfied customers from our Facebook page.